Medieval Hallamshire under the Feudal System. The king owned the whole land, because William had conquered it. He gave large tracts of it to trusted barons, who, in return, had to provide him with soldiers when needed. 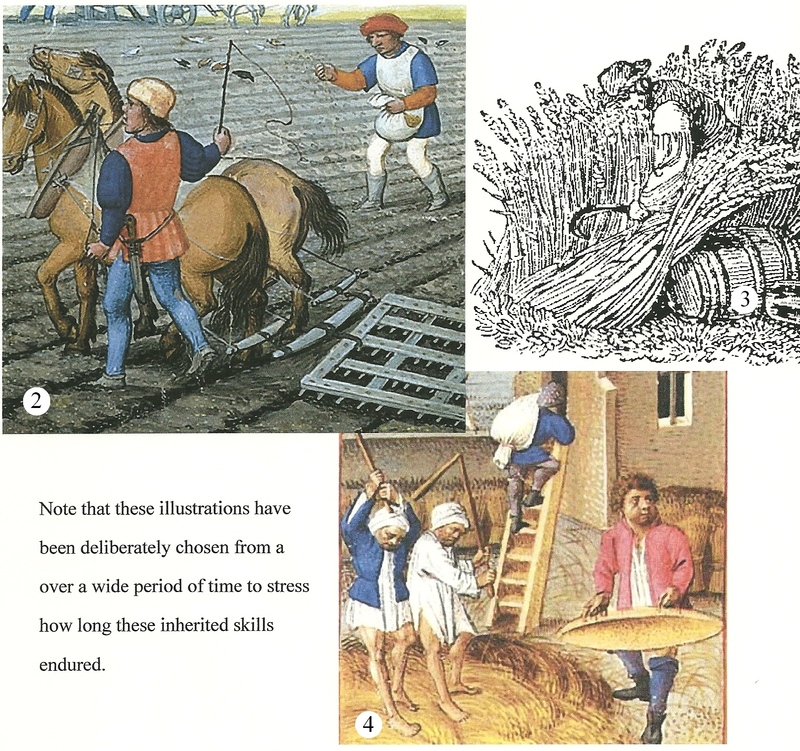 The barons gave some of their land to knights, who were responsible for protecting the remainder of the population – the serfs, who had to work on their lord’s land, but also had a small patch of their own on which they could grow food and keep a few animals, such as cows, goats, sheep and pigs. The lord planted peas and beans, also wheat, barley and rye some of which went on to the miller. The Church also owned vast amounts of land and livestock, yet the peasants had to give them a tithe, or tenth, of everything they produced (crops, eggs, animals). Before moving on down the centuries, we must have a brief look at the very different conditions under which the remaining eighty percent of the population lived. There were very few towns or cities[i], so most people lived and worked in the countryside, in villages of some 20 to thirty families and were very poor. The typical cottage had one room with shutters over the windows as there was no glass; lighting was from rushes that had been dipped in animal fat and they slept on the floor on straw. In the middle of the room was a fire, used for cooking and heating; the smoke escaping through a hole in the roof as there was no chimney. The housewife cooked in an iron cauldron suspended over the fire; the family eating their food from wooden bowls. Poor people had a simple and monotonous diet; one hot meal per day of a stew of grain and vegetables, if they were lucky, eked out with rabbit or pork, with coarse dark bread and cheese for other times. The family shared their room with their animals, whose body heat helped to keep the room warm. Ploughing , which took place after harvest in order to break up the soil for next year’s crop. Sowing and Harrowing. Covered the seeds to keep them from the birds and help them grow. Reaping . The corn was cut by hand with a sickle.